Workers’ Compensation Cases With Nurse Case Managers | Johnson & Gilbert, P. A. When you're injured at your job and must file a workers’ compensation claim, you have to work with your employer’s insurance company. It will have the right to select the doctor who treats your injuries. In some cases, the provider's adjuster assigns a nurse case manager to manage your medical care. While this can be helpful, there are also pitfalls to working with this person. Most nurse case managers are registered nurses who act as medical case managers and report back to an employer’s insurance carrier. They often work for outside agencies that contract with workers’ comp insurance companies to provide these services. A nurse case manager can help ensure an employee receives necessary medical care; act as a liaison between the insurance company, doctor, and worker; and provide information to the provider about required medical treatments. While this all may sound like a useful service—and can be, in some cases—it's important to remember a nurse case manager works for the insurance company and not you. One of the reasons he or she is hired is to save the insurance company money. In certain circumstances, a nurse case manager may argue against recommended medical procedures, recommend less costly treatments, and pressure a doctor to release an individual back to work too soon. He or she has the right to speak to your authorized physician about your medical condition and treatment, even if you're not present. 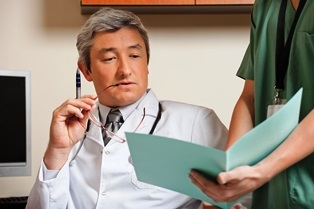 You have the right to insist that you go to doctor’s appointments without the nurse case manager in attendance. If you were assigned a nurse case manager, it's imperative to retain an experienced workers’ compensation attorney as soon as possible. Your lawyer can handle communications with him or her on your behalf and assist you if the nurse case manager isn't looking out for your best interests. We have over 20 years of experience fighting for the rights of injured workers in the Daytona Beach area. To learn about your options under Florida’s workers’ compensation laws and how we can assist you, fill out our convenient online form to schedule a free consultation today.